This fish doesn’t show up very often for sale, and it can be hard to keep as it doesn’t always eat. It has a funny swimming motion and is somewhat slow moving. Because of this, it needs to be kept with non-aggressive fish, as some will take bits out of its high fin. 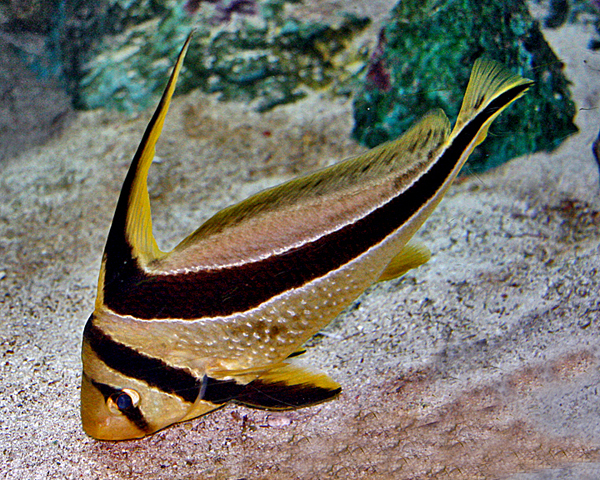 It will eat small invertebrates so you need to be careful when placing one in a reef tank.